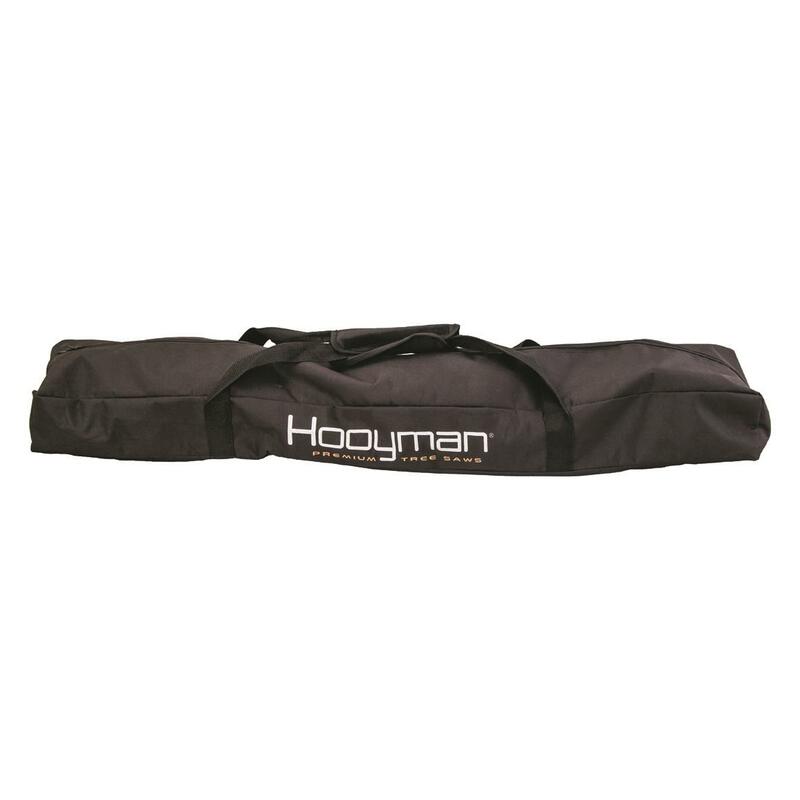 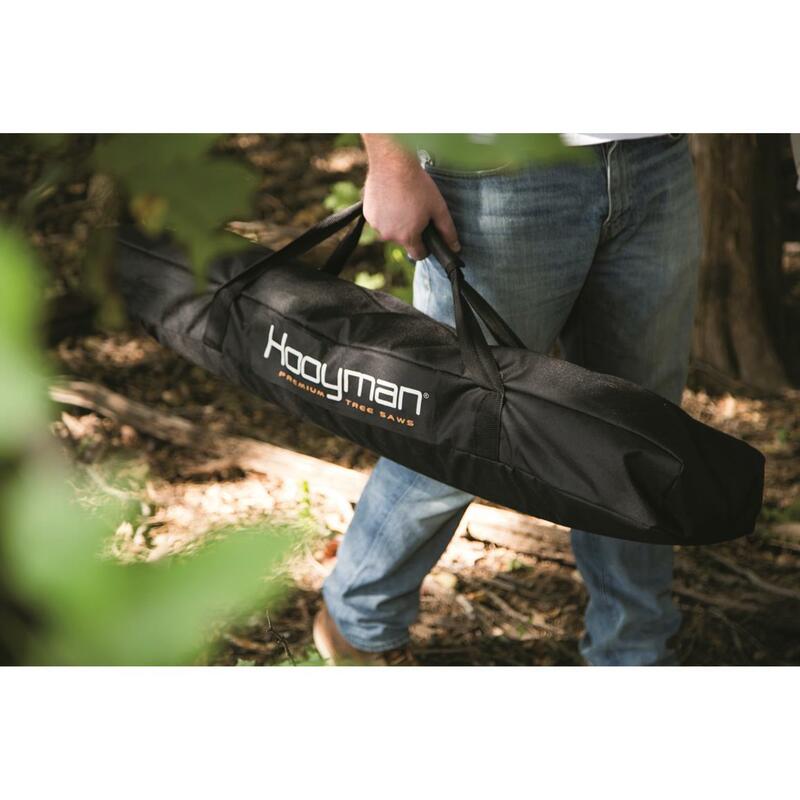 The Hooyman® Cordless 40 Volt Lithium Pole Saw is the perfect solution for clearing shooting lanes and trails deep in the backcountry. 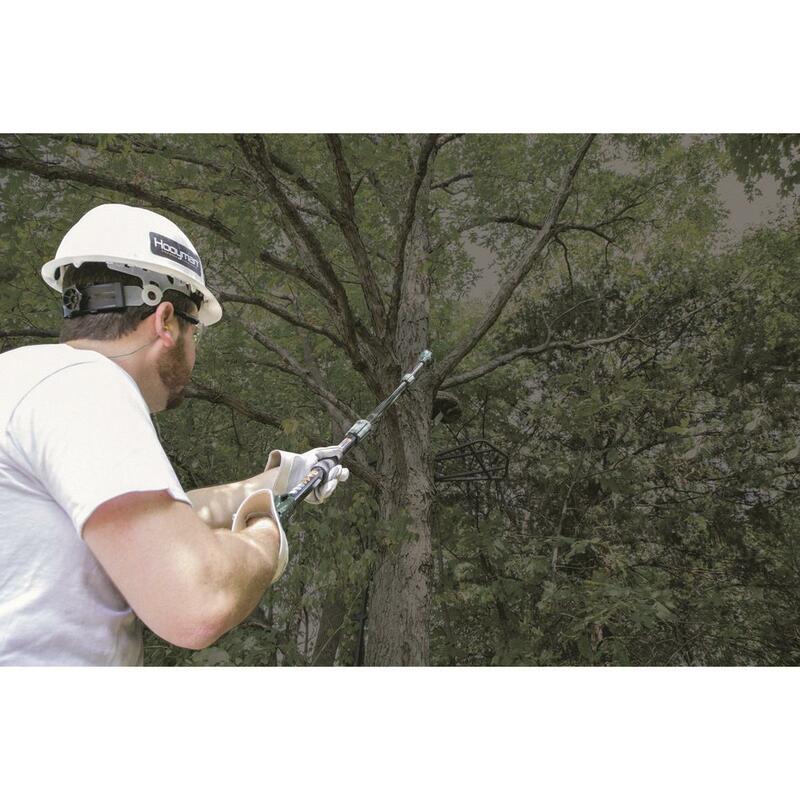 Of course, it works just fine for trim jobs around your yard as well. 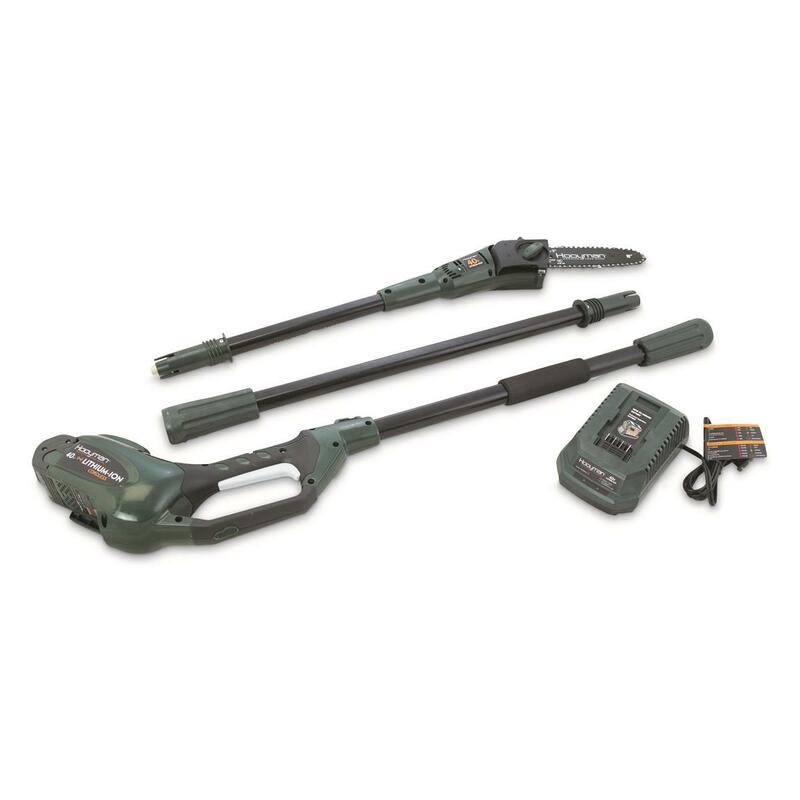 It's light and portable, and because it's battery powered, you don't have to haul a gas can or deal with power cords that limit your working range. 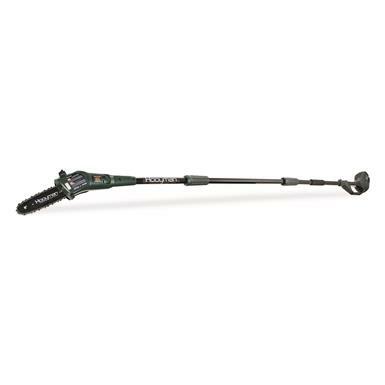 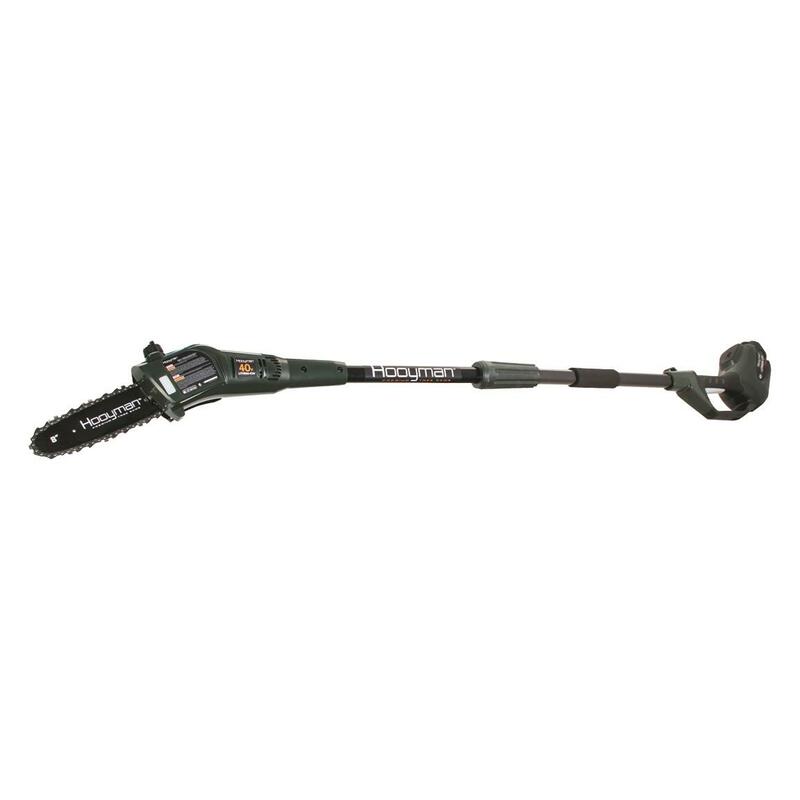 It features an 8" cutting bar and extends out to 10' to reach hard-to-get-at branches. 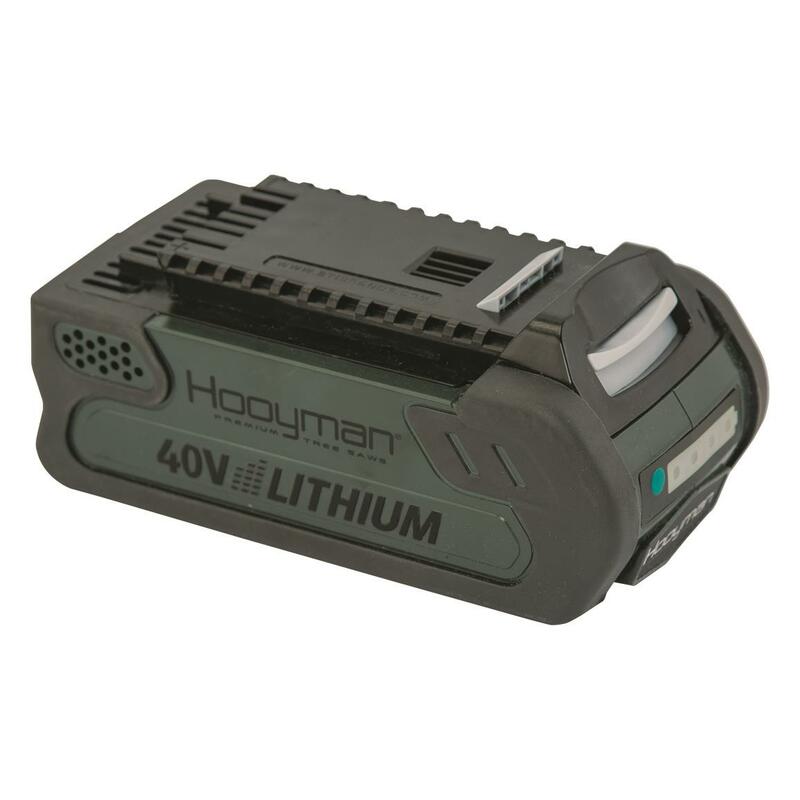 The battery provides 70 minutes of fade-free power with no memory loss. 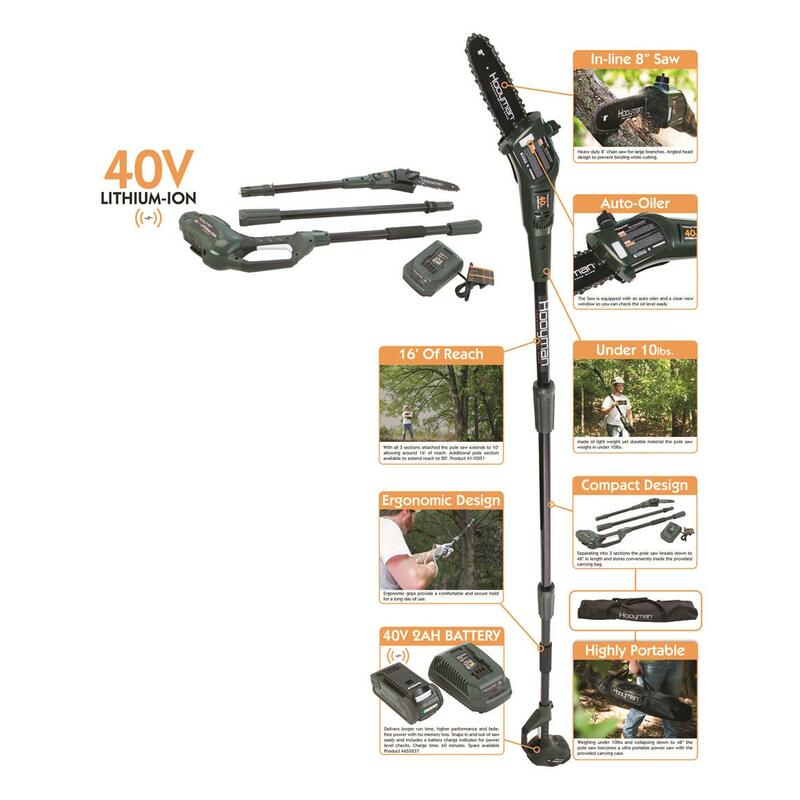 That's about 40% longer life than other batteries. 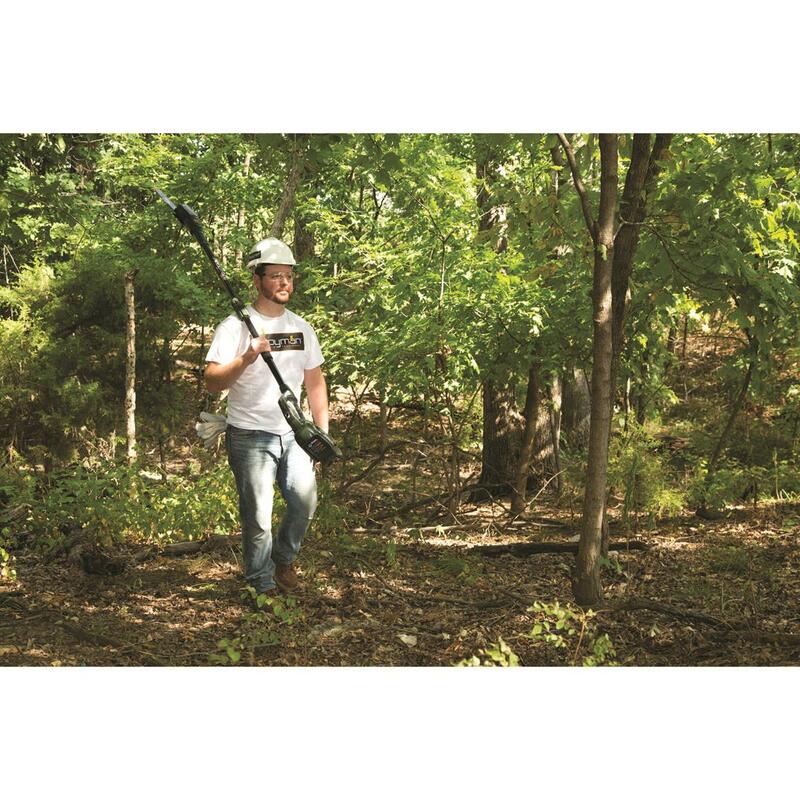 Get a second battery (Item 704590) and carry it for backup to increase the time you spend perfecting your backwoods locale.